Fitness rebounder model 220 by JumpSport: Perfect for starting fitness training at home. Due to adjustable rubber rings, the training is very joint-gentle. Frame and legs are very stable and absolutely tilt-proof! Fitness training at home is pure fun with a rebounder. Rebounders, as indoor rebounder are also called, are the perfect piece of exercise equipment to get the whole system in full swing. The JumpSport Fitness rebounder model 220 is an excellent choice for beginners. The JumpSport Fitness rebounder model 220 convinces at first sight. It is set up in the blink of an eye so that the training with this sporty elegant rebounder can start immediately. 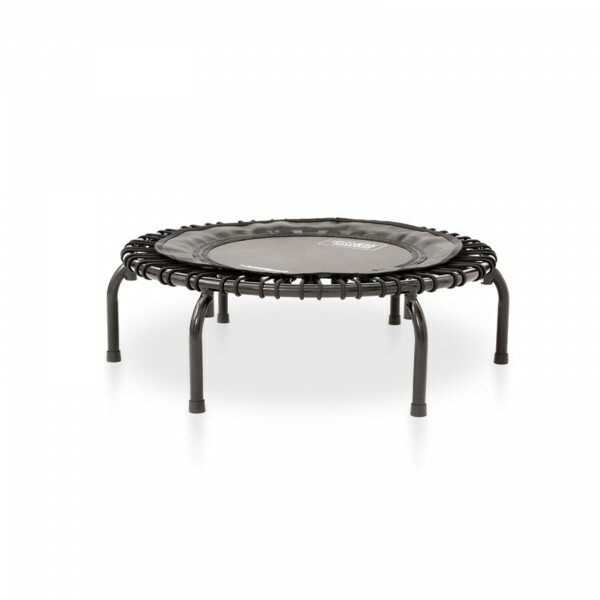 The legs of this JumpSport fitness rebounder are arched and protrude the frame a little. Thus this rebounder provides much higher stability. Rubber end caps prevent the rebounder from moving and protect floors from being scratched. The material of the mat is made of is called Permatron; it is particularly fine woven and therefore exceptionally durable. The mat of the JumpSport Fitness rebounder model 220 is attached to the frame with rubber rings. Rubber cords compared to metal springs have striking advantages. The bounce, i.e., is a lot smoother, longer, and less abrupt. This makes rebounding exercises a lot easier on the joints. Jumpsport holding rod for 220 / 350 Series In stock! 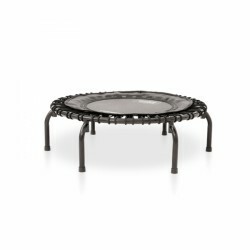 JumpSport Fitness rebounder model 220 add to comparison list.